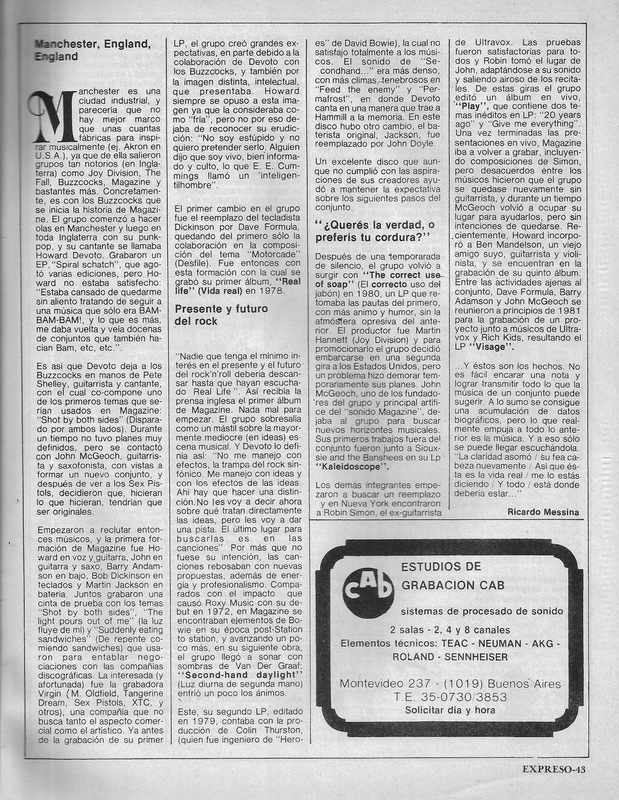 This is an article published about Magazine in Argentina. The author Ricardo Messina wonders if it is the first ever article written about the band in the country. 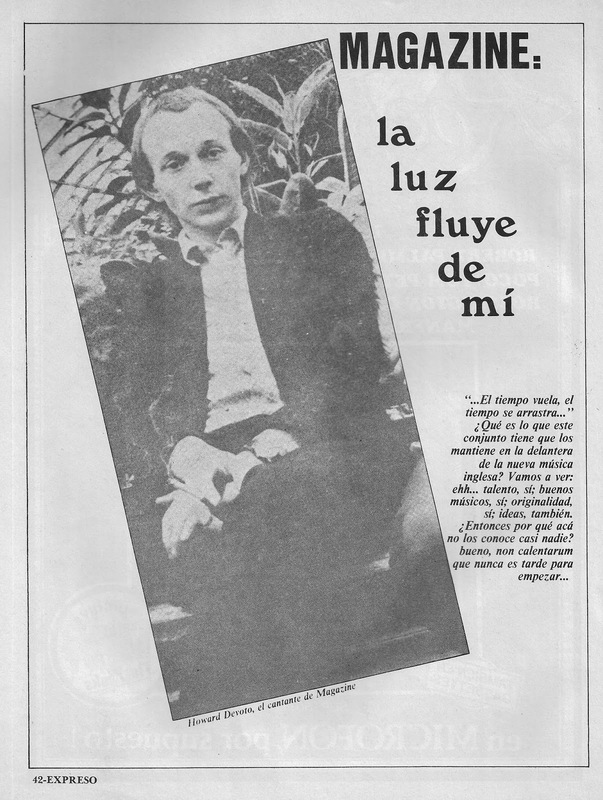 He wrote it for "Expresso Imaginaro" issue No 58, in May 1981. Thank You to Ricardo for kindly allowing me to reproduce it for my blog.